Our honey is available in grocery stores, produce markets, and specialty stores in several states. Below is a partial list of the stores we serve. If you are looking for our honey in your area, please email us with your city and zip code at info@laneyhoney.com. We will send you a list of stores in your area that carry Laney Honey. If you are a store looking to carry our products, please contact us for wholesale information: email: info@laneyhoney.com, phone: (574) 656-8701. As always, thank you for your interest in our honeys! 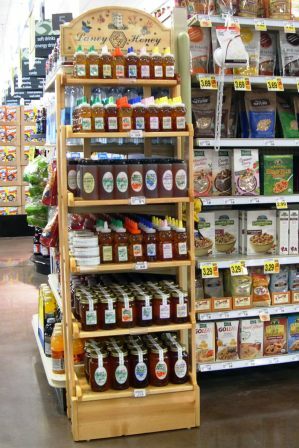 Note that our honey is usually in the Produce Department, Natural Foods Section, or Condiment aisle in most stores listed. Fresh Farms, W. Devon Ave. Whole Foods, Indianapolis, 86th St.